We offer efficient delivery of products. Many items can ship to your door in 24 hours or less. Extensive inventory of tooling components. Troubleshooting, problem solving, product guidance. Automotive and Defense Industries since 1952. 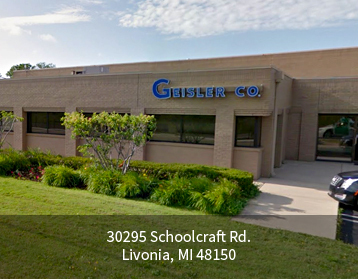 Geisler Company is the premier supplier to the industrial marketplace. We offer efficient delivery of high-quality drill bushings, fixture and tooling components, shop supplies, and safety products, to the aerospace, defense, and automotive industries. Our highly knowledgeable sales team is available to help resolve technical issues and offer solutions to make your operation more efficient. With an extensive inventory of products, we can ship most in-stock components and materials in 24 hours or less. The company mission is to continue to develop itself as a premier global distributor to the industrial marketplace, supplying high-quality products in a timely manner.